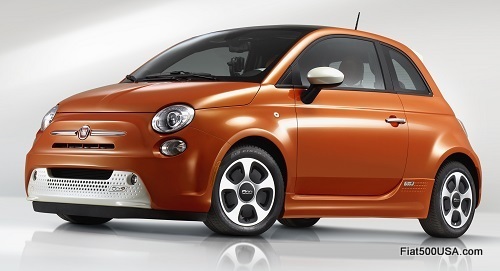 Fiat issued the official Fiat 500e recall notice to dealers Wednesday. The notice, Safety Recall N51, spells out the repair procedure for handling a potential problem that could effect all Fiat 500e electric vehicles manufactured between October 3, 2012 through July 30, 2013. Approximately 490 cars made during this period may have halfshaft-to-gearbox output flange fasteners that may loosen, resulting in noise or worse, decoupling of the halfshaft from the transmission. Fiat Studios will inspect all the cars built within the specified period for loose halfshaft fasteners and replace them. Fiat will also inspect for signs of the halfshaft being loose on the drive flange, grease leakage and / or damage to the drive flange. In that case, the entire halfshaft assembly will be replaced to be assured there will not be any issues. It is expected that very few cars will need to have the halfshaft assembly replaced. Fiat discovered an issue with the 500e after one car was reported to have a halfshaft disengage from its transmission. An investigation was opened on August 2nd and, after extensive investigations, it was determined that fasteners on cars built within the time frame were contaminated with grease, compromising the chemical locking compound on the bolt. This could allow the fasteners to loosen. Fiat, to their credit, wasted no time and within the course of a few weeks from the investigation's start has vigorously pursued taking action to remedy the situation as many of the affected cars have already been inspected or repaired. NOTE: This recall applies only to the above vehicles built from October 3, 2012 through July 30, 2013 (MDH 100307 through 073007).